The ultimate utilitarian humidor from Cigar Caddy. 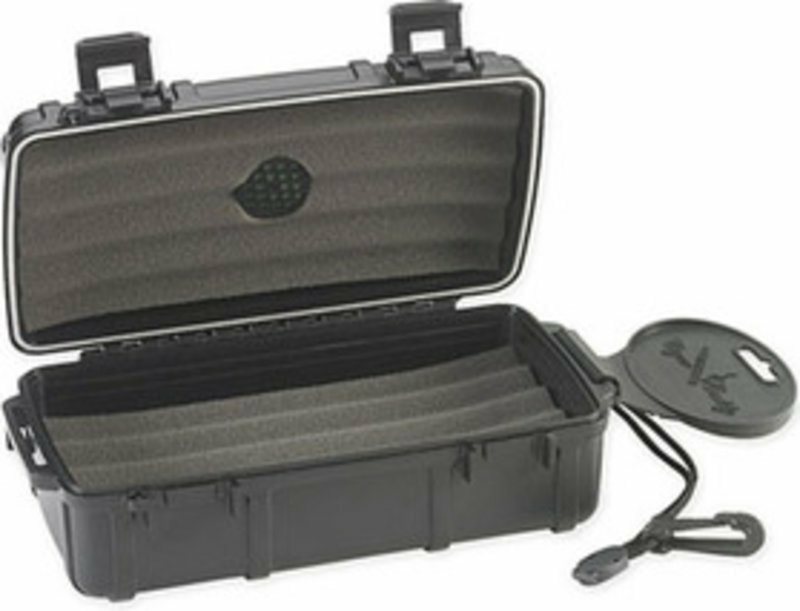 Hermetically sealed and lined with rubber foam, the robust plastic case of this humidor will keep your cigars safe and hydrated no matter what your travel destination. Holds up to 10 cigars. It was a gift for my husband. The joy was enormous.